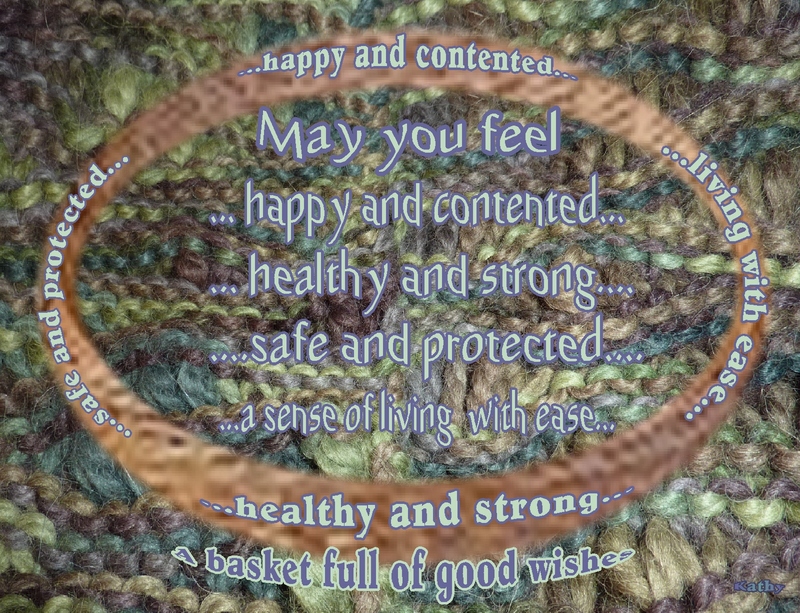 A basket full of good wishes…..may you feel happy and contented…. This entry was posted in Loving kindness and tagged Awareness, Encouragement, Loving kindness, Mindfulness, Spirituality, Wisdom. Bookmark the permalink. 9 Responses to A basket full of good wishes…..may you feel happy and contented…. Thanks, Kathy! Great basket of wishes. Lots and lots of baskets…. Happy and content–that’s all any of us could hope for, isn’t it? yes, sounds wonderful to me….hope we all access it as often as possible!